There's always lots to do and honestly every year it just happens - which is great but a bit daunting. As with many families who have autistic kids there's a lot of planning and preparation that goes into Christmas. It's all too easy for our boys to become overwhelmed with everything that's going on. I try to be fairly relaxed about it and go with whatever they need but it's always going to be a busy time. There's all the present buying, the wrapping, secret stashing, the shopping and cooking for Christmas dinner whilst making sure we have something David will eat too. And the list goes on. 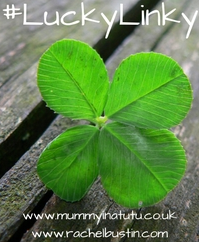 This year I've a few tricks up my sleeve and I'm sharing one with you in a giveaway. What's that got to do with making my life easier? Ahh, well, the good people at PNP, that's the Portable North Pole, send my kids their own video from Father Christmas which includes a task for them. That's right, Santa himself tells my kids to be good and help their siblings and even help me during the run-up till Christmas. 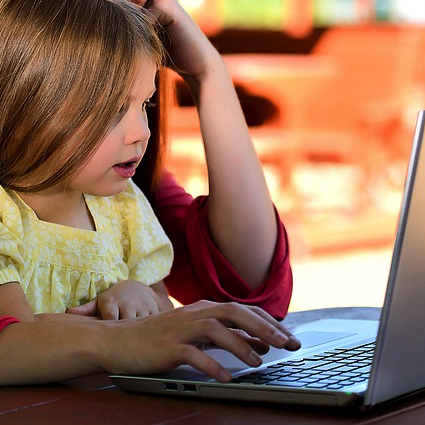 What better way to make my life easier than focusing my kids on being good. David's still pre verbal and won't really understand a video call from Santa, but the other two definitely do. Two out of three kids helping or trying to be extra good ain't bad and if they aren't annoying David too then this can make the world of difference to me. Over the next six weeks and particularly in the last run up to the big day, I'll be in and out of the house like next doors cat with delivery boxes and shopping. I'll fill goodness knows how many bin bags preparing dinner and snacks and put what must be tonnes of packing into recycling boxes. Half of this will need to be done after the kids have gone to bed. I'll be in and out of the loft looking for decorations various and that tree ornament that 'we always have.' Then there's the trudging back into the loft or garage to hide various gifts. The key to the above - a fantastic pair of bootie slipper shoes like these from Hunkemoller. A sole along the bottom means you nip outside to the bin as often as you need and not get them wet underneath. They keep you warm and safe in the loft and cosy when finally sitting down to wrap those gifts. If our boys are to have a good day we try and help them stay relaxed. Part of them being comfortable is preparing them for the day. Letting them know what's going to happen by talking about what's going on in the run-up to Christmas. Sometimes in the past we've used visuals, particularly with David as he's non-verbal. But the boys have great memories and they've now got a general understanding of what's happening. We keep Christmas limited to just a few rooms in the house. The lounge has the tree, a cue for them that Christmas is coming, and the kitchen is where we have our Christmas dinner. Comfortable dining chairs keep everyone happy and cope with both the fidgeting boys and our more elder relatives too. The dining table is extended, giving us all the space we need, even if we have having turkey and David is having chicken nuggets. Most of the house is undecorated so that the boys always have somewhere 'normal' to go and chill out. David quite likes to sit on the stairs to get away from it all when he needs to. If they are all less stressed, then so am I. We've got an Echo Dot in the kitchen. When we first got it I didn't think I'd use it much. I was wrong. The Echo Dot is voice-controlled disc that uses Amazon's Alexa to play music, control smart home devices, provide information, read the news, set alarms etc. Here's a couple of festive phrases I've been practising. Alexa set first timer for 3 1/2 hours (for the turkey on Christmas day), then I'll set several other timers for everything else in line. I honestly don't know how anything got cooked for the right length of time before I had Alexa. Alexa, play Michael Buble (for me to do a dance). Alexa, play Can't Stop the Feeling from Trolls (for me and the kids to dance together). Alexa, how cold is it today (run and change the heating for the day and then because Anthony wants to know..) Alexa, how cold is it in Russia? Alexa, where is Father Christmas? And that's just a starter. I've also found if the kids have lots of questions and I'm swamped, they can talk directly to Alexa for a while. I know, terrible mother. But please don't let that put you off. Alexa is brilliant for my autistic kids. Anthony in particular loves lists and Alexa is a great help when it comes to interesting facts and figures for him as all I end up doing is googling the answers anyway. She is a databank of information and will answer him over and over again no matter how often he asks. And keeping Anthony calm helps keep me calm. I love having Alexa around to help so much, I'm giving one away. If you'd like to win your own Alexa on an Echo Dot - please take part in my giveaway. her with you - just in time for Christmas. Enter below. Conditions: UK Residents only. Entrants must be aged over 18. Entry is via Rafflecopter. Entries can be made up until midnight on the1st December 2017. One winner will be chosen from all the entries at random the day after closing. The winner will be contacted within two days of the closing date and have one week to respond. The Prize is one Echo Dot as pictured in top photo. No cash alternative. 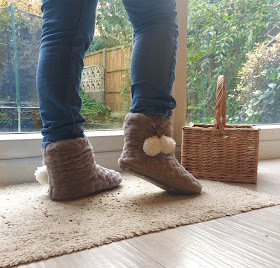 I was sent a pair of Hunkemoller slippers for purposes of review. As always my views and comments and independent and I only include products or services I like. Taking a relaxing bath - I don't allow myself to do that these days - I just jump in, get washed and jump out again! I should really allow myself to lie back and relax in the bath! Make plans for the Christmas period. Especially plan and know what you are doing on Christmas eve, Christmas day, Boxing day and New Year’s Eve. Walking - since losing our dog a few weeks ago, I have lost interest in walking - BUT we are getting a new pup next month so I know she will motivate me to start walking again! Simple, do plenty of preparation. Plan, get help then relax and enjoy the season. To remember it will never be perfect but to relax and enjoy it! This is an amazing giveaway! Christmas is always more idealistic than in reality and thats from before and after kids hahah! I'm such a sucker for gifts but once its over I get a massive crash and then I'm sad for ages!! Thank you for sharing this amazing giveaway with us at #TriumphantTales. Good luck to all the entrants and I hope to see you back next week! Get through christmas with.. restraint! My son is probably a little too young to understand the concept of Christmas and I think going to see Santa would scare him to death, so the idea of a video from Father Christmas is a much better idea! Genius! Be Prepared,Write a list get dried goods & orders in early.When you know everything is under control. Chocolates,Drink 🍸,TV & feet up. 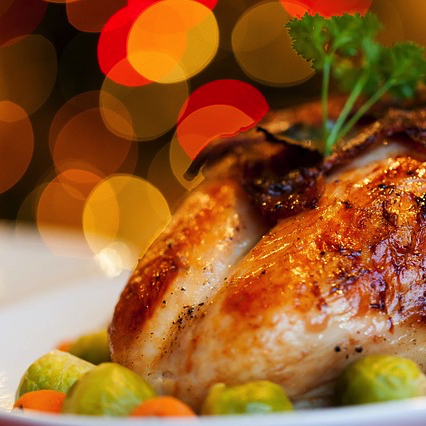 Prepare early so you can worry less when everyone else is running around like headless chickens! Prepare early and enjoy it! Get the family to help and get presents early to avoid the crowds. Some of the general stress is just about getting everything done. If you do want the whole traditional Christmas thing - in terms of organising food, house, presents, cooking etc. The main thing is being organised. So write a few lists - they make things easier. Also do what you can in advance. Sort the presents side in early December. Same with any decorations and the tree. Don't worry unduly about having the place spotless - it'll all be trashed the minute a few presents are unwrapped anyway. 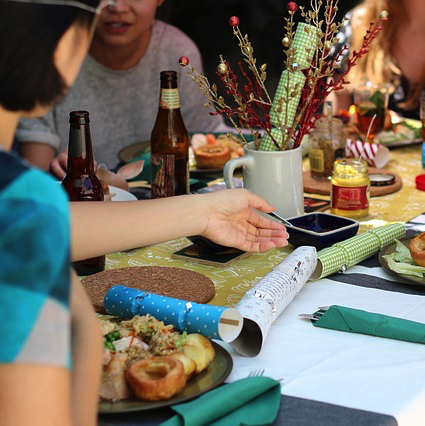 Get the food in two days before Christmas and do as much chopping, stuffing, and cooking as you can on Christmas Eve. That way even if you are running the show on the big day there is still a chance you'll actually get to relax and enjoy bits of it too and it won't be all work. Many long and luxuriating baths. Failing that lots of alcohol tends to get me through. Not at the same time though. Well, maybe a glass of wine whilst immersed in bubbles! Making sure there are some relaxing days in between during the Christmas break! It sounds like I need an Echo Dot to keep me organized! And if it can read off recipes so I don't get food or smudges on my recipes all the better. I like to plan ahead as much as possible, but hey life happens! Hide in the shed at the bottom of the garden with a box of mince pies until it's all over. Don't invite or accept invitations from anyone you don't like!!! I love the slipper socks, I wish I had a pair for everyday lol. Plan and organise as much as you can as far in advance as you can. Don't forget to have fun, that's what its all about! Try and prepare as much stuff as possible beforehand especially Xmas dinner stuff and try to take 2mins to breathe. I always try and prepare as much as I can for christmas lunch in the days before - so that I can enjoy the day too without having to spend all day cooking. To enjoy it as much as you can! Enjoy and do as much as you can in advance! enjoy it - it shouldnt be a task to get through christmas! if it has to be something to have to get through, something is wrong -so what if you burn the turkey or even forget to get it out of the freezer, have a sandwich!!! if relatives dont behave tell them to go home and have a big glass of wine and play with the kids its one day, have fun ! Buy Christmas presents throughout the year and don't go mad on too much food as so much ends up in the bin. Write a shopping list and stick to it. Don't build it up to totally unreasonable expectations! Plan everything, but also be prepared to go with it and not stress if things don't go to plan! Be prepared and shop in advance! dont stress. it one day. why spends months getting stressed over a day? Always plan ahead and wrap gifts as soon as you get them - to save time when things get a bit 'hairy'. I think preparation, list making and budgeting are the key to a stress free Christmas. Start early... I buy present throughout the year (spreads the cost but within the interest charges) and don't go overboard... It's only one day - do you really need THAT MUCH food? Do a spreadsheet of all of the gifts you want to buy. Then mark them off as you go along. Oh, and have fun!! Lower those expectations and be realistic !! Try to stick to routine and discuss changes to the 'normal schedule' earlier on in the year in preparation. There is a lot of pressure these days to do so much at Christmas but I find it's nice to just do a few things and try not to have the Fear of Missing Out! I'm not the best person for giving tips - I've learnt the hard way. Start shopping early even if it's just a couple and NEVER leave your wrapping till Christmas eve, did that year before last. Took me hours, youngest woke up crying at midnight before I'd finished and was awake till 1am,finished wrapping at 2.30am,went up to bed and my oldest woke up and was looking in his sticking! It was a nightmare and Christmas day was just a blur because I was sooo tired. Don't take on too much and be organised. Don't answer the front door! Lock yourself in! Don't take it all on yourself. We do pretty much everything from decorating the tree & house to cooking the dinner as a family. just be prepared and dont stress its just another day! Relax. Make sure essentials like food etc are organised, then just enjoy the time with your family. For me it has to be be prepared and don't leave your shopping until the last minute. Take a moment or two to soak it in and relax. Preparation will help! Also, beer. Beer makes everything better. I'm totally not in the Christmas zone yet! 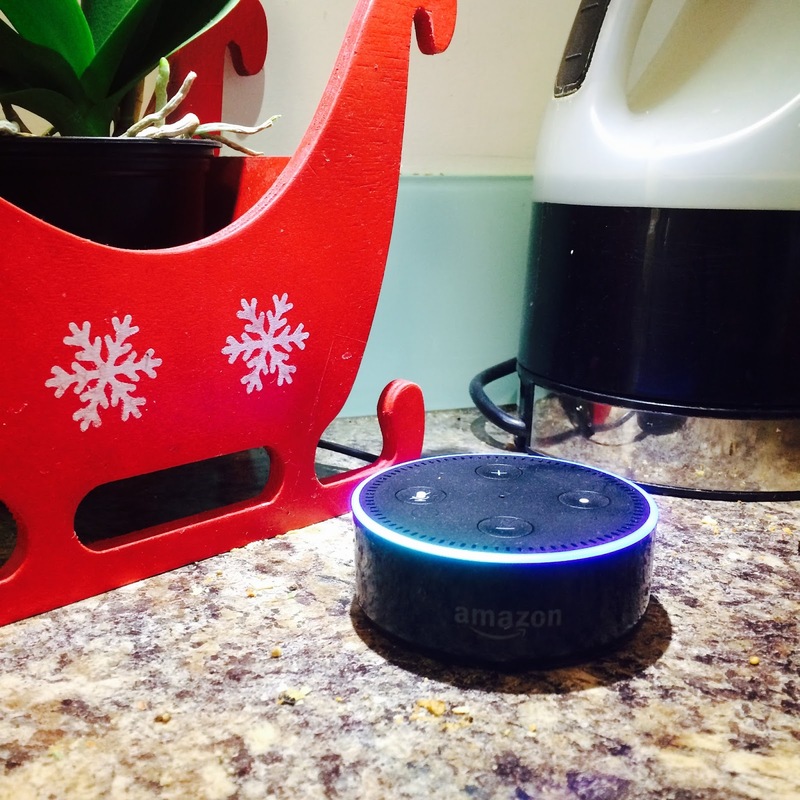 The Echo Dot sounds brilliant - I've been toying with the idea of getting one for ages so I think its going on my list! Everything will happen it it's time. Just keep plodding on and try to involve the whole family. Get yourself a notebook to keep all your Christmassy info together! Just let it happen. If things go wring no point worrying about them. Organise everything you can in advance. Shop early,make a plan,stick to it and then just relax.Remember it is just 2 days and so what if it's not perfect who cares as long as you have fun and enjoy yourself. Don't make too many social plans. Not everybody needs to be seen over the Christmas season! Compromise and go in prepared! Plan and organise as much as possible in advance, and try to stick to routines. Prepare a budget and a meal plan and stick to both. Have several large bottles of Merlot on hand just in case. Don't sweat the small stuff and that most of the things you worry and get upset about is small stuff. Enjoy the time with your family. Preparation is the answer. Don't leave everything to last minute! Try and stick to the usual routine! Plan & make plans known, it might not go actually how you want but at least it puts life in order a little bit. Be organised and then try to enjoy it! Music and reading. This certainly is a good idea. I don't really have any good tips, except, maybe, don't drink too much. Hide...just kidding however I would say to shop around. It can be easy to get carried away trying to grab everything in one store however by shopping around you could save a lot of money saving you stress after the big day has been and gone. There are so many comparison sites you can use and always look for online vouchers. I do the majority of the shopping online. One more thing, teach little ones what christmas is all about. If you don't have the money to afford everything on their list the time they spend with you is what they will cherish and remember. I learned the hard way spoiling mine rotten getting all the latest toys to have the majority either destroyed by New Year or gathering dust at the bottom of the toy box. We spend the day with family and the girls gifts back home are forgotten until they return. If you can keep a few things back so that everything isn't opened and mixed up. Chances are they won't even notice and every toy will get played with rather than broken in a crazed rush to play with everything they open. get everyone to help even doing the simplest of things. rubbish in the bin, lay the table. And if it's all too much, don't plan to do a huge dinner in the first place. Remember it's your Christmas too. Just try and relax and don't get overwhelmed. If things feel 'too much' for you then go for a walk to clear your head. Don't make it all about the presents. We don't. We enjoy the fun, the playing with the children, the time of work and actually the material stuff doesn't matter to us as parents! Its to be enjoyed by all so a little delegation comes into play too. The Alexa sounds ideal for timings and reminders. Get everyone to help and make it into a game where possible! Take each day as it comes and if it doesnt go to plan its not the end of the world. Don't get stressed, try to plan ahead as much as possible. The main thing is that you and your family enjoy themselves who cares if a bit of cleaning isn't done...just enjoy the festive season! I suggest plenty of patience and lots of booze. Par-boil the vegetables and potatoes in advance and freeze to save time.